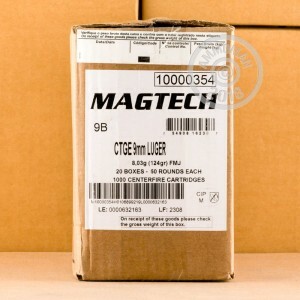 This economical range load from Magtech is a great way to train with your 9mm pistols. 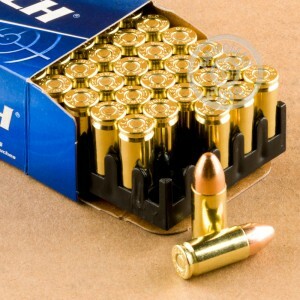 Each cartridge in this box of 50 fires a medium weight 124 grain full metal jacket bullet at a muzzle velocity of 1,109 feet per second, producing similar ballistics to many popular defensive hollow point brands. As a standard pressure round this ammunition is ideal for practice with subcompact pistols like the SIG P938, Kahr CW9, Ruger LC9, and Glock 26. These cartridges are made in Brazil by defense contractor CBC, which also produces the non-corrosive Boxer primers and brass cases used in its own ammo. 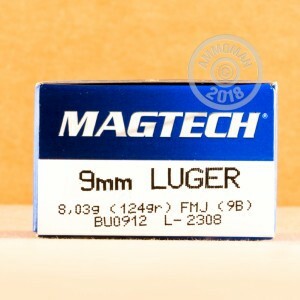 Stock up on ammunition at AmmoMan.com and enjoy free shipping on all orders over $99!